Cakes come in so many shapes, sizes, flavors, and colors. Every culture has its signature cake. For cake night we baked three very different cakes and threw in some maple scones for added fun (and added butter). 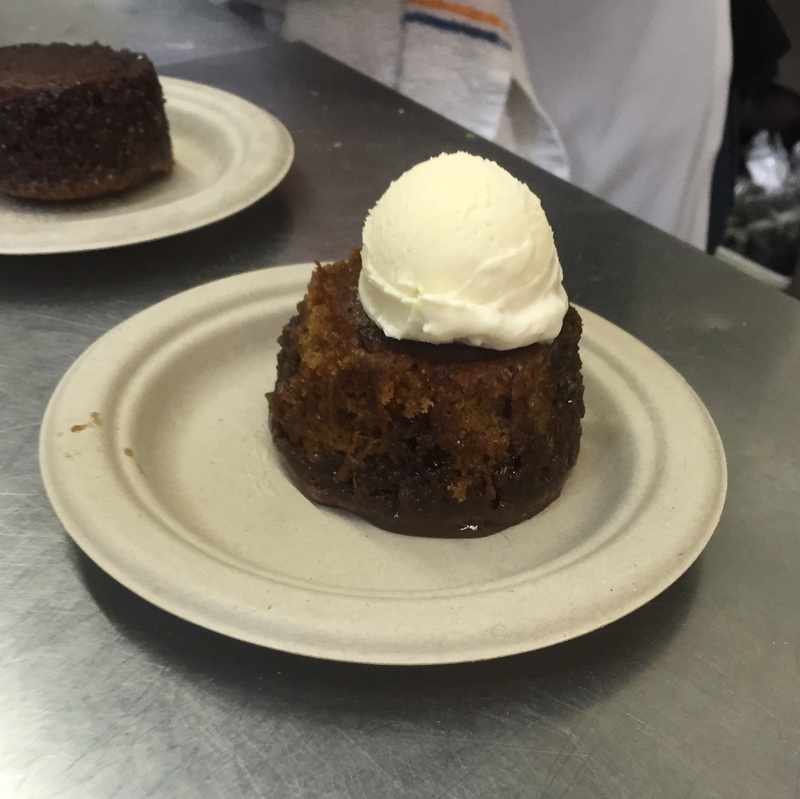 The first two cakes screamed for a cold glass of milk on the side – sticky toffee pudding and chocolate decadence cake. Sticky toffee pudding is just as it sounds – a rich cake flavored with dates, brown sugar, and coffee. 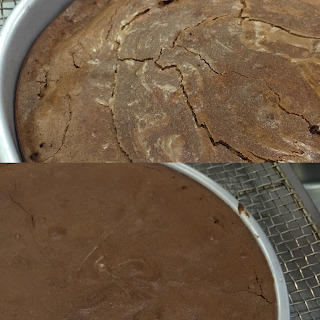 After baking it is perforated and doused (smothered? drowned?) in a sweet sticky toffee sauce. The sauce is pure sugar (brown, corn or golden syrup), butter, and heavy cream. This cake is for the sweet lovers out there. 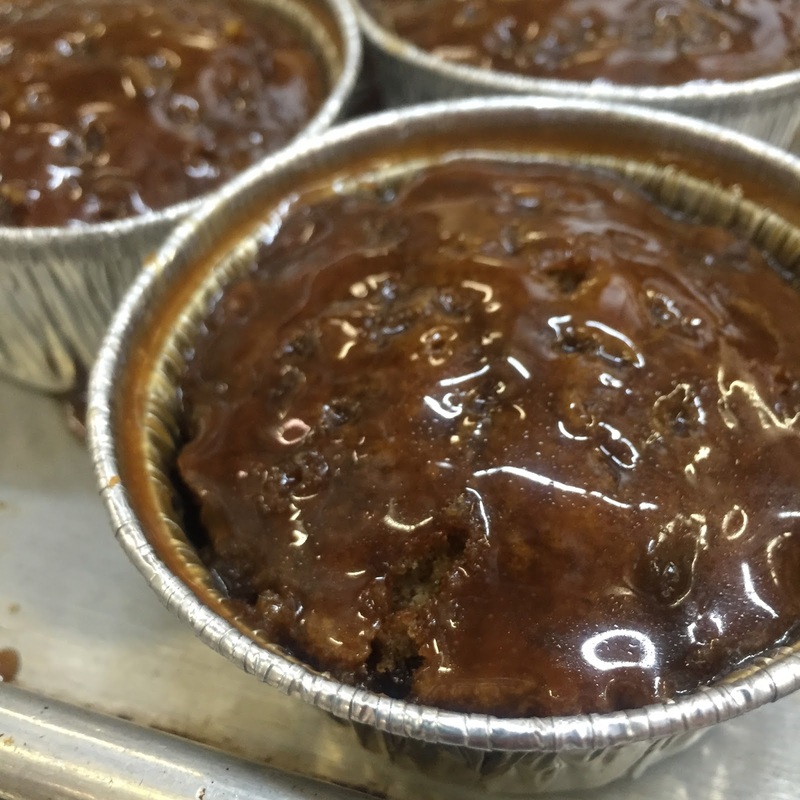 Baking the sticky pudding helped teach the importance of knowing the proper cooking vessel. The size and material will determine the cooking time. Thin aluminum baking cups will cook much differently than thick ceramic ramekins. It is also important to match the sweetness of the dish to the serving vessel. This sticky toffee pudding was perfect in small amounts. Moving from sweet to rich, the next dessert for the evening was a Chocolate Decadence Cake, a recipe from Pierre Herme. The method was fairly straightforward but he result was as the title suggests – decadent. 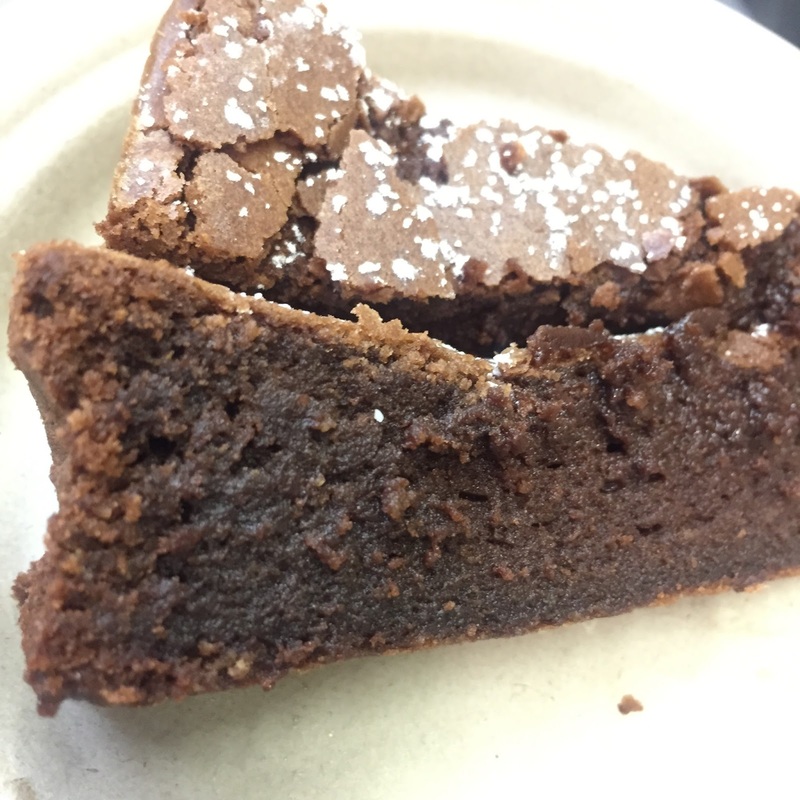 Bittersweet chocolate and four other ingredients come together for a fudgy treat. With a well-stocked pantry, this cake could easily be thrown together for last minute guests. While it was tempting to eat this right from the oven it was even better after cooking. The secret to this cake’s success is using high quality ingredients. With so few ingredients it really makes a difference. Next we jumped from fudgy and dense to light and nutty. Financiers are something that might appear on a dessert menu with no explanation – the diner is expected to know what the cake is by the name. I had never had these before and they are delightful. Financiers are named for their original eaters – the financiers of France. They are a petite cake baked into a rectangle, reminiscent of a gold bar. 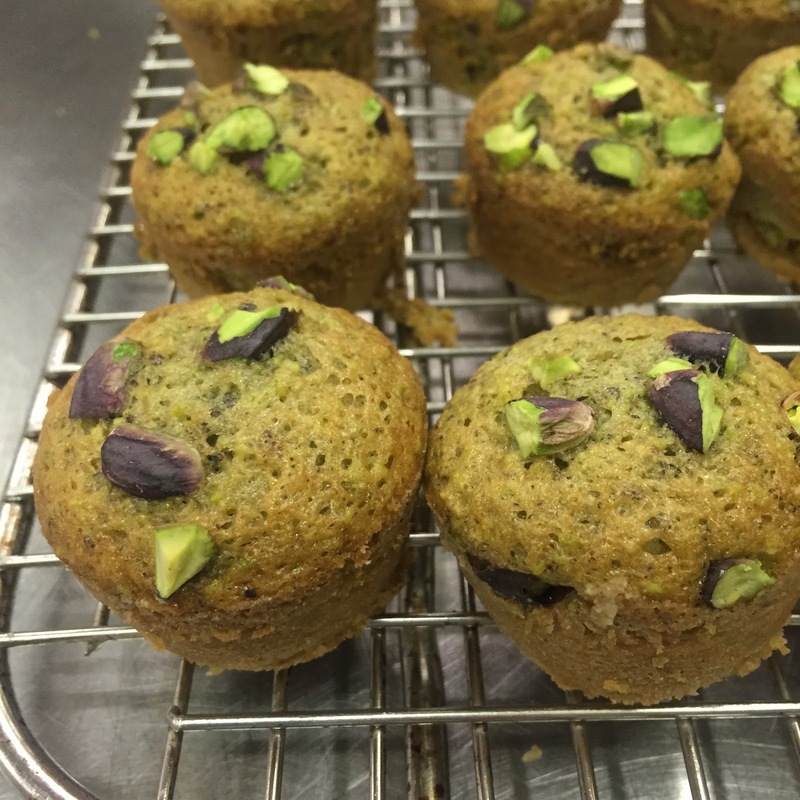 The cake base contains ground almonds, pistachios, and brown butter, and egg whites. The finished cake is a nutty and light two-bite treat. The recipe we used was by Paris baker Eric Kayser. Some of the takeaways from the cake baking portion of the night were technique focused. Things that seem easy are actually integral to the final result (don’t take them for granted). Whisking the batter just enough, but no too much. The more you mix the flour, the more gluten develops and the tougher the cake will be. Folding the dry and wet ingredients together is an art. Done right it is a fluid motion between spatula and bowl, perfectly combining the ingredients into a smooth batter. Paying attention to the little details makes all the difference in the end result. Now even though scones aren’t a cake this was my favorite part of the night! I love biscuits and scones and just can’t get enough. And I love maple just as much as biscuits. 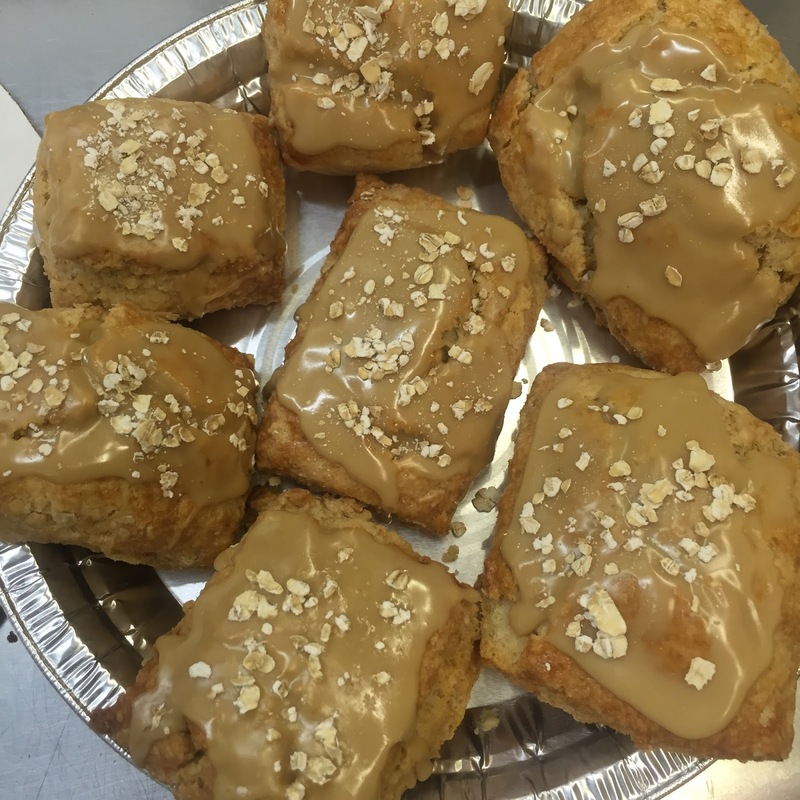 The recipe we prepared was maple oatmeal scones – adapted from an Ina Garten recipe. Even though these had a full pound of butter, the oatmeal made it feel just slightly healthy. The glaze on the other hand…. 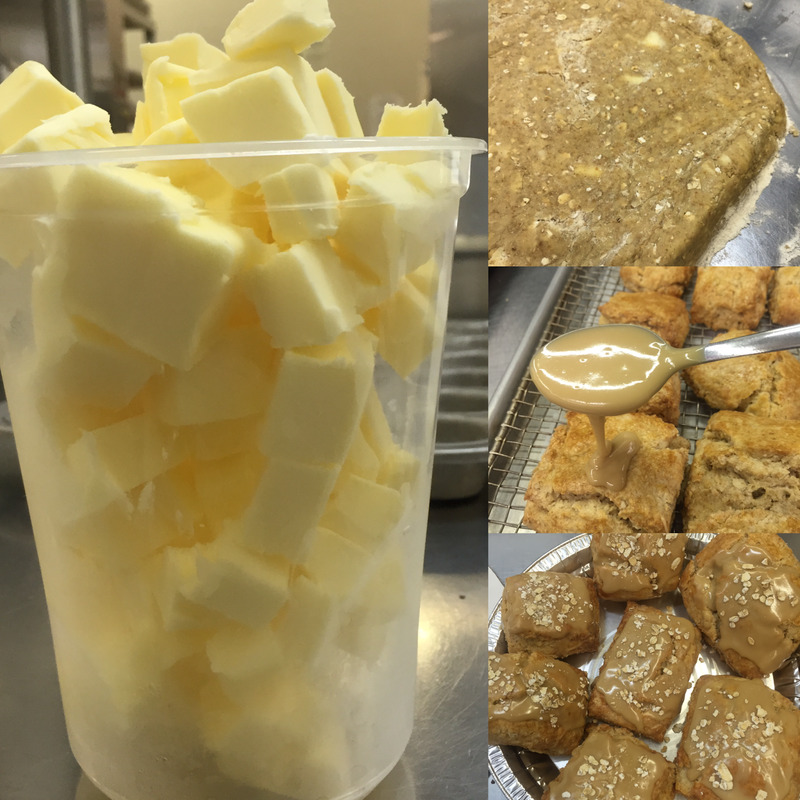 What was great about preparing these scones was learning an easy technique for producing layered, crumbly scones. Rather than cutting the butter in with a pastry cutter we took advantage of the food processor to quickly cut the butter. Instead of shaping into a perfect circle, rolling and cutting into wedges we used our hands to shape the scone dough into a large even rectangle. A bench scraper cut through the dough easily to make a lot of cute little scones. Cutting straight down and lifting straight up keeps the edges clean and allows the scones to rise high when baking. The large pieces of butter melt and release steam producing a crumbly texture. It could be easy to forget the amount of butter in these and eat a handful for breakfast (shh, don’t tell). This recipe will be added to my favorites list. These cakes (and scones) came together fairly quickly and easily. There really is no reason to buy cake mix or store bought cakes. 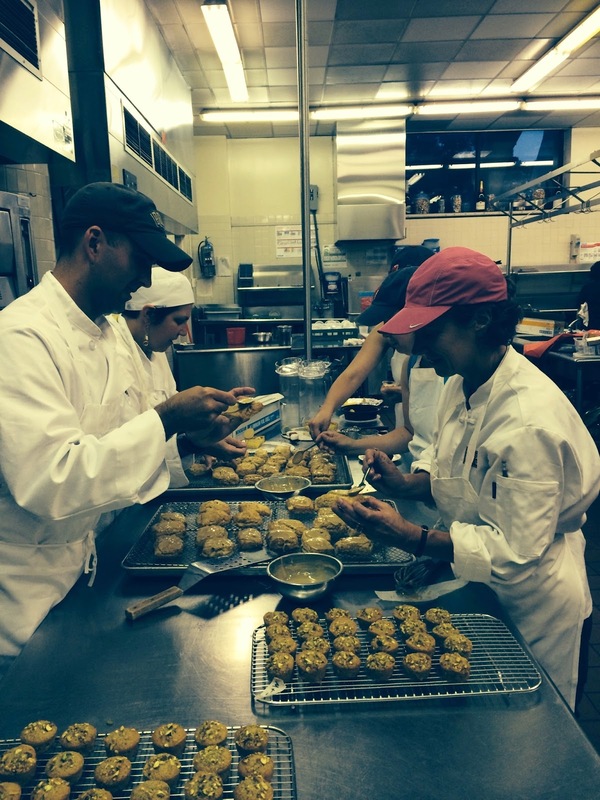 All you need is a few high quality ingredients and attention to detail. I think my family is looking forward to my newly acquired skills! and marveling over all the cakes!